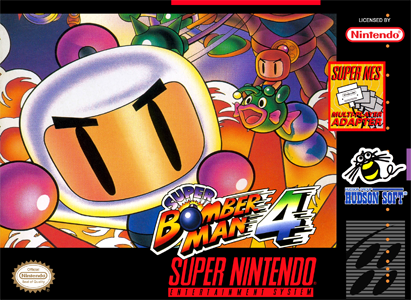 Super Bomberman 4 is the 1996 sequel to Super Bomberman 3 and the first of the final two Supers to only be released in Japan. 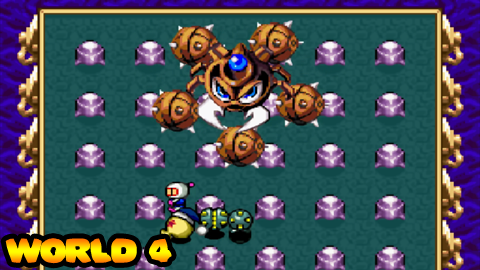 It's a shame, because the game has some creative design decisions underneath the same old gameplay: some enemies can be defeated and turned into eggs, at which point Bomberman can hop onto them and use them as mounts; some enemies give bomb powerups while others have their own attacks. 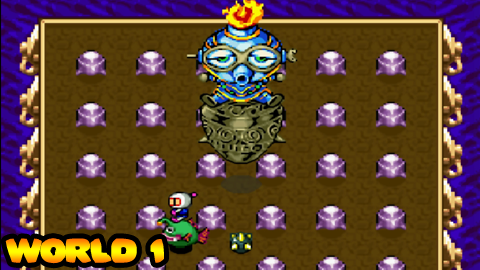 If enemies are within one of the same two types (organic or mechanical), the player can carry two more with them as backup in case their current mount gets destroyed. 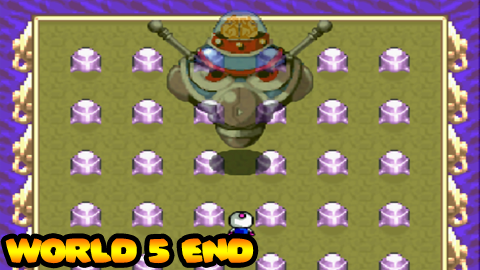 The music is also some of the weirdest in the series. However it's also incredibly short; not even an hour if you're good. Worth a run through, though. After pursuing and eventually destroying Bagular, White Bomber enjoyed a moment of rest with Black Bomber and his friends while returning home on a space shuttle. All passengers are unaware that four lights approach the shuttle, and they eventually collide with the ship. This creates a time hole in space that transports White and Black Bomber to the prehistoric age. 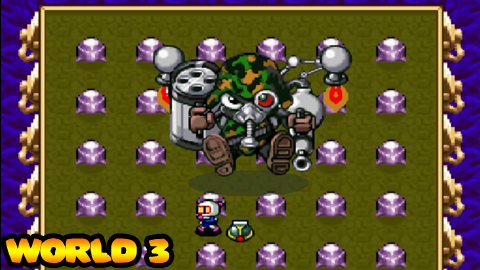 There, White Bomber meets Great Bomber, who following the late Bagular's will, is leading the Four Bomber Kings on an operation through time to capture him and his friends. White Bomber and Black Bomber must battle through time to foil Bagular's plan. 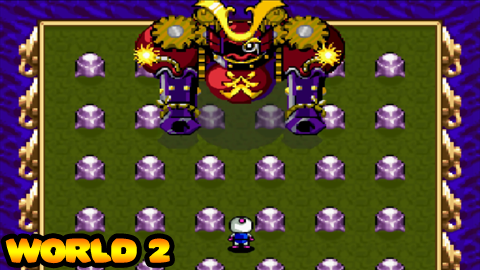 Like with before, this is a quick run through of the game, even quicker than previous due to the game's incredibly short length. I am joined for this one by SorataYuy and ElTipejoLoco.